Former Sale player David Tait has died at the age of 25, the Aviva Premiership club have confirmed. Tait is understood to have fallen from an apartment block in Hong Kong, according to reports in the Manchester Evening News. His Premiership rugby career was cut short by injuries, and he became a corporate finance manager for multinational firm KPMG. Tait, a back-row forward, spent five years with Sale, who signed him as a teenager. He was part of England's training squad for the 2008-09 International Rugby Board world sevens series, but did not play. He later played for Scotland at the 2009 Dubai Sevens. "The rugby community will be shattered by the passing of such a gifted and popular young man who was respected by everyone he played alongside," Rugby Players' Association chief executive Damian Hopley said. "He wasn't simply a talented rugby player, he was also extremely bright and successful in his life outside of rugby. We will do everything we can to help support David's family and the players who played alongside him. His family and friends are in our thoughts and prayers." Former Sale and England captain Jason Robinson said on Twitter: "Holding back the tears thinking about the loss of David Tait. Lovely young man who will be greatly missed. Thoughts & prayers to his family". Premiership Rugby chief executive Mark McCafferty said: "At this desperately sad time words can hardly do justice to the way everyone involved with Aviva Premiership Rugby will feel about David's passing. Everyone at Premiership Rugby would like to offer their condolences and support to David's family and friends at this very difficult time." RFU CEO Ian Ritchie said: "David is well remembered by staff at the RFU as a talented player who represented England whole-heartedly in our age grade sides. He will be greatly missed by the rugby community and our thoughts are with his family and friends at such a sad time." 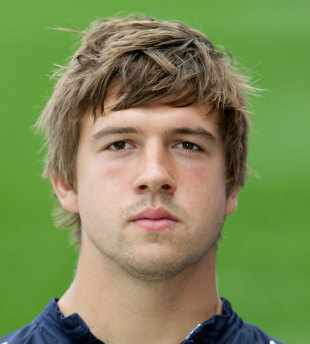 Tait represented Scotland sevens at tournaments in Dubai and South Africa in 2009. Stephen Gemmell, who was then Scotland sevens head coach and is now Scottish Rugby Union head of performance development, said: "He became an important member of the squad and fitted in really well with the other players. "David was a pleasure to work with and had a bright future ahead of him, both within and outwith the game. The thoughts of all at Scottish Rugby are with David's family, friends and colleagues at this difficult time." Harlequins and England player Danny Care tweeted: "Couldn't believe the news y'day. Lost a good friend and an absolute legend of a bloke David Tait. RIP mate. Sending all my love to his family." Wasps rugby player James Haskell tweeted: "Very shocked to wake up to the news of former Sale player David Taits death. Very sad news. Top player and man." Adam Powell of Saracens wrote on Twitter: "So sad to hear about Dave Tait. Absolutely gutted!" Northampton Saints player Ryan Lamb tweeted: "Terrible news about the death of David Tait. Top player and a top bloke, had some awesome times playing through the age groups with him. Thoughts go out to his family and to the sale lads in such a bad time. #RIP"
Danny Cipriani described it as "devastating news!" and tweeted: "Horrible news about David Tait, he was a legend of a bloke and very talented. Thoughts with his family sending my love."